Outside of your employees, the most valuable asset within your organization is your data. Your users depend on the availability and integrity of it every day. Any business in the Houston area that relies on data must have a data recovery plan in place. In a perfect world, no one would have to worry about backups. Unfortunately, a lot can go wrong, and at some point, it will. Drive failure and human error are two primary culprits of data loss. People will make mistakes and eventually, every hard drive will fail at some point. Having a reliable data backup system is a safeguard against these and other common missteps. By employing a number of different backup measures, companies can ensure their data will be forever accessible, even in the event of a major disaster. The truth is that backing up your data requires experience, foresight and strategy. For that reason, many Houston area business turn to an unbiased, expert third-party like NSC to handle their data recovery implementations like NSC. At NSC Information Technology Group, we offer IT consulting to help you create a data recovery plan that suits your business to ensure your data is accessible no matter what. Hard drives have a lifespan of around six years. Roughly 0.78% of hard drives fail annually. Natural disasters and electrical storms occur every year. And most companies do not have a proper backup plan in place. NSC Information Technology Group offers business continuity and disaster recovery planning, data backup and recovery, all of which is necessary to fail-safe your mission-critical files. Many people do not differentiate between data backup and disaster recovery, and there is a distinct difference between the two. 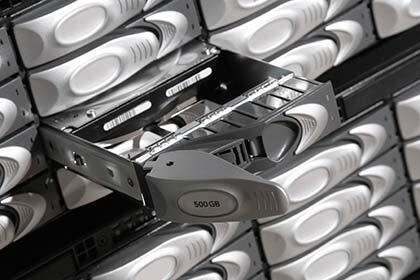 Data backup is a safeguard against hard-drive failure, employee oversight, and other common problems. Through the use of automatic backup software, companies can protect their data, customer information, important documents, and more to ensure the smooth operation of their business. However, what if the drives the information were backed up to were destroyed, such as in the event of a natural disaster? This is what disaster recovery refers to – policies put in place to ensure the restoration of essential infrastructure following a natural or man-made disaster. The two policies are not the same, and companies should have a unique plan in place for each potential occurrence. Creating routine backups and storing these backups off-site. Creating backups automatically to an off-site disk. Combination cloud and physical storage. By employing a number of different backup measures, companies can ensure they are able to recover and continue working even in the event of a major disaster. Redundancy is key; should one backup plan fail, you will have another ready to take its place and ensure the survival of the information. By outsourcing the safety of your business to us, you put the information in the hands of an unbiased, expert third-party. This eliminates the risk of internal errors on the part of your employees. At NSC Information Technology Group, we offer IT consulting to help you create a recovery plan that suits your business. Our network security and network support experts will work with you to create a reliable data backup plan that ensures no information is ever lost. Our routine checks of the system will reveal any potential problems long before they cost you money or customers, and our managed IT team is on-call to assist should any questions or issues arise. In the event of an emergency, contact us to help restore your business to working order. Our team can handle everything from structured cabling to system restoration. Do not wait until it is too late. Contact NSC Information Technology Group today to create a data backup and disaster recovery plan to ensure your business will survive no matter what may occur.